1 unopened bottle of 2008 Goose Island Bourbon County Brand Stout. 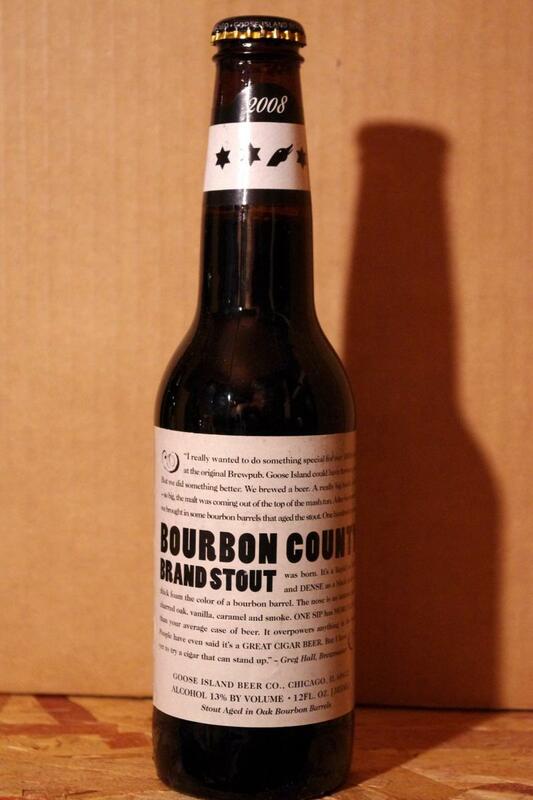 2008 Bourbon County Stout was aged 10 months in 17 year old Heaven Hill bourbon barrels. This bottle is in great condition and has been properly stored at cellar conditions since purchased by me. I have been cellaring beer for over 20 years and am a long time ebay seller (user name: jrockford) - please check my feedback for customer reviews of my packaging and service. Shipping is via Fedex ground and is limited to lower 48 United States only - Sorry, no International or APO shipping. I will always combine purchases to save you on shipping.